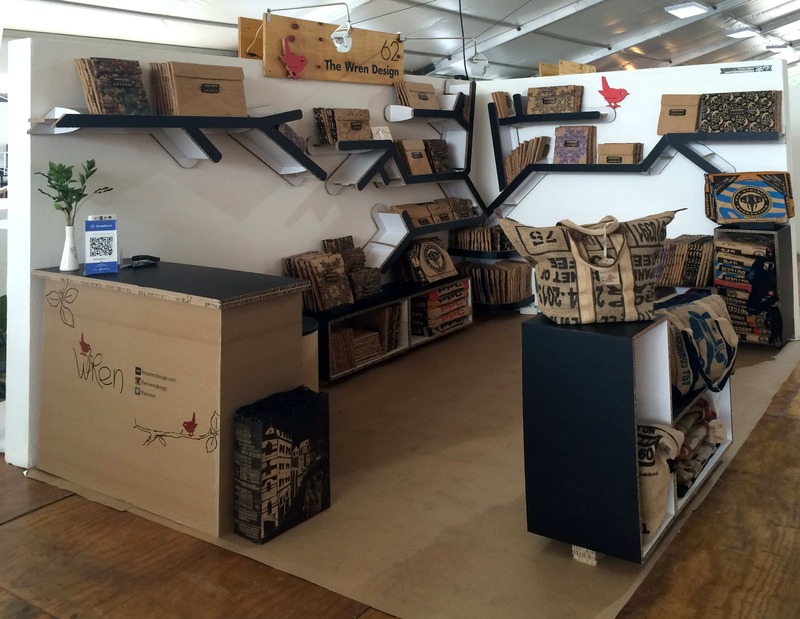 This year our stand at the Sanlam Handmade Contemporary Fair in Hyde Park, Johannesburg was designed by Blackmoon Advertising and built by Zanita, out of Xanita baord. The idea was to create a graphic and “constructed” tree inspired shelving system. Each “branch” became a shelf that was deep enough to allow sleeves to be stacked and ecouraged customers to flip through the various designs. The counter and the rectangles were also built out of Xanita and folded flat which made it really easy to take down and transport. We loved working with this material and loved the fact that it compliments Wren’s principles in that it is a recycled material that has a cradle-to-cradle concept. So what is Xanita Board? Xanita board is an engineered wood panel, made from upcycling cardboard boxes and sugar-cane waste fibres. These natural fibres are pulped and turned into a tough kraft paper and then through some smart engineering, into a lightweight board. Amazing right? We thought so! Our Point of Sale units were also designed out of this material and used very successfully for displaying the sleeves. Each year we look forward to The Sanlam Handmade Fair. It is a beautifully curated event that is well organised and offers customers a great selection of designed products and great tasting food! Thank you to the organisers for another great event and to our customer for their support. 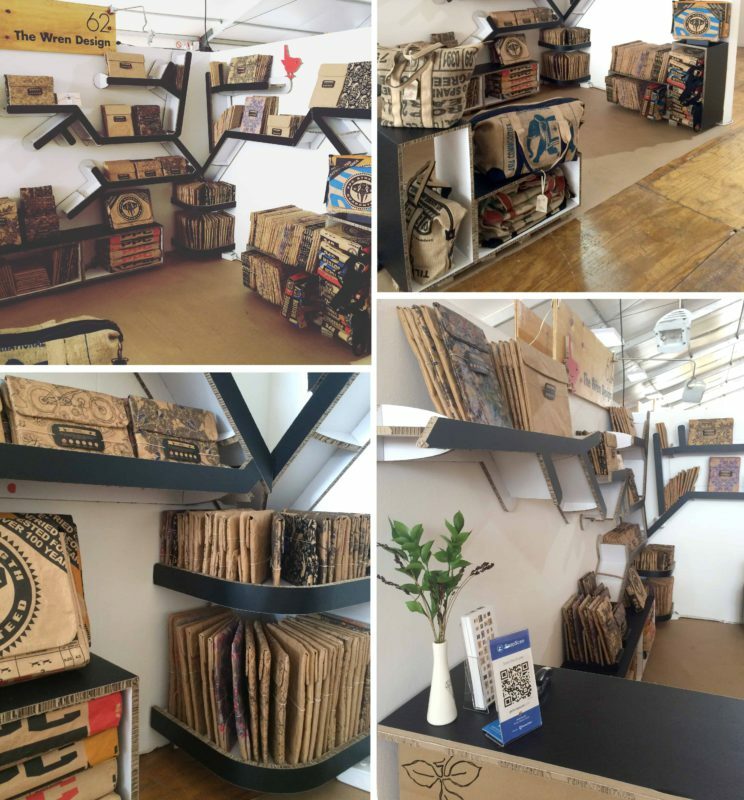 This entry was posted in Blog and tagged Artlogic, Design, fair, Gauteng, hmc 2016, hyde park, johannesburg, october market, paper bags, paper sleeves, rooftop, rooftop market, Sanlam Fair, Sanlam Handmade Contemporary Fair, South Africa.